This NIH-funded program (Neurocognitive Approaches to Communication Disorders) emphasizes training of doctoral students in the application of new theoretical frameworks and technologies from neuroscience and cognitive science to research in language and communicative disorders. Applicants who are selected receive in-depth theoretically-driven training in research with clinical populations, utilizing the resources of the SDSU Speech-Language and Audiology Clinics, clinical affiliates, SDSU affiliations with school systems and hospitals in and around San Diego, the University of California Medical School, and the Alzheimer’s Disease Research Center at UCSD. The training grant faculty includes a subset of the faculty in the San Diego State University and University of California Joint Doctoral Program in Language and Communicative Disorders (JDP-LCD). The primary goal of the program is to train doctoral students in the conception, planning, and conduct of research in language and communicative disorders, with specific focus on research that is clinical in nature (e.g., assessment and intervention efficacy research) or essential to the clinical enterprise (e.g., clarifying the underlying nature of language impairment in children and adults; developing accurate methods for assessing communication abilities in infants, toddlers, and adults; investigating brain-language relations in children and/or adults).  The training takes place within the context of the SDSU/UCSD Joint Doctoral Program in Language and Communication Disorders, with the specialized focus occurring through assignment to a mentor who has the appropriate clinically-focused research program to match the student’s interests. The application deadline to the PhD program is January 20, to be considered for fall admission. Contact Dr. Tracy Love (tlove@sdsu.edu).